Ecuador's president says Assange tried to use its embassy to spy - SABC News - Breaking news, special reports, world, business, sport coverage of all South African current events. Africa's news leader. 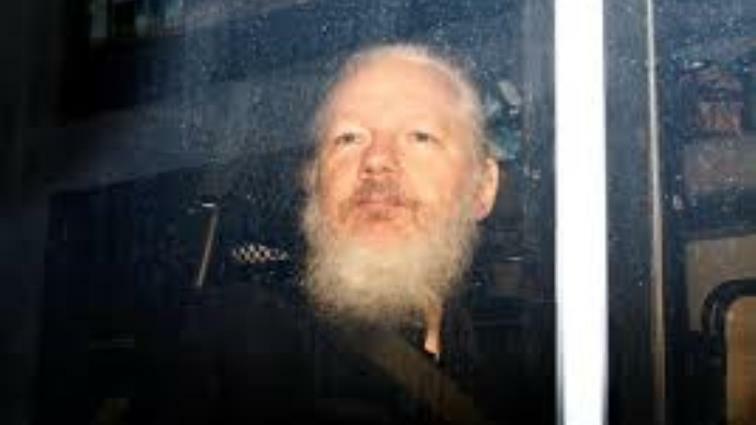 WikiLeaks founder Julian Assange is seen as he leaves a police station in London. WikiLeaks founder Julian Assange repeatedly violated his asylum conditions and tried to use the Ecuadorian embassy in London as a center for spying, Ecuador’s President Lenin Moreno told Britain’s Guardian newspaper. Assange’s relationship with his hosts collapsed after Ecuador accused him of leaking information about Moreno’s personal life. Moreno denied to the Guardian that he had acted as a reprisal for the way in which documents about his family had been leaked. He said he regretted that Assange had used the embassy to interfere in other country’s democracies. “Any attempt to destabilize is a reprehensible act for Ecuador, because we are a sovereign nation and respectful of the politics of each country,” Moreno told the Guardian by email. “We cannot allow our house, the house that opened its doors, to become a center for spying,” the Guardian quoted Moreno as saying. This entry was posted on 15 Apr 2019,12:10PM at 12:10 PM and is filed under World, News, Homepage Latest Stories Slider. You can follow any responses to this entry through the RSS 2.0 feed. Both comments and pings are currently closed.